The future of feathering propellers – complete with 3 year warranty! 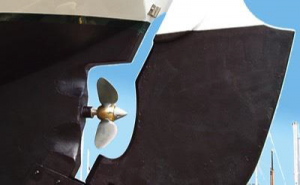 The FeatherStream Propeller is a simple solution to many problems that can be caused by fixed propellers. When sailing, the propeller automatically feathers to give minimum drag, improving your average sailing speed by as much as 15%, compared to a fixed 3 bladed prop. It requires no operating system and fits directly onto the existing prop shaft. Delivered fully assembled and ready to be fitted. They are almost as easy to fit as a fixed propeller. Ability to fit into a restricted aperture if required. 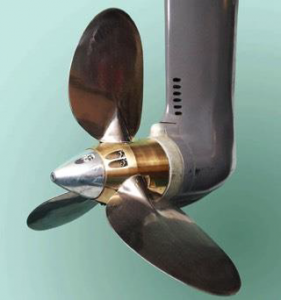 Darglow has over 30 years experience in feathering propeller design and in 2006 took the brave decision to design and manufacture a fully feathering propeller in the UK when many companies were moving production to China or India. FeatherStream was born! The propeller has a nickel aluminium bronze body, stainless steel 316 heat treated blades and an external pitch adjuster allowing for fine tuning the pitch of the propeller in less than 15 minutes. 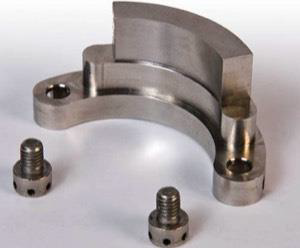 Replacement pitch cassette for easy pitch adjustment – supplied free of charge. When sailing, the propeller automatically feathers to give minimum drag – improving your average sailing speed by as much as 15-20%. (compared to a fixed 3 bladed prop). FeatherStream requires no operating system and fits directly onto the existing prop shaft or saildrive leg. Delivered fully assembled and ready to fit – they are almost as easy to fit as a fixed propeller. Individually hand-built for each and every customer, FeatherStream propellers are guaranteed to exceed your expectations! Restricted apertures are not a problem. Normally if you can fit a fixed propeller, you can fit a FeatherStream. No need for a shaft brake, the shaft remains stationary when sailing. With greatly improved reverse thrust over a fixed propeller, it is as powerful in ahead as it is in astern, giving less ‘prop-walk’ and outstanding close-quarters manoeuvrability. Maintenance is easy. All that is needed is to inject grease once per season and change the zinc anode when necessary. Darglow carries a full range of new replacement anodes to suit all propellers. Watch the beauty of FeatherStream in action – anti-drag propellers make sailing a joy!